The lack of a headphone jack isn't the iPhone 7's biggest problem. The Lightning port is. The internet collectively lost its marbles when Apple announced that its newest iPhone wouldn’t have a headphone jack. The kerfuffle died down once buyers realized they wouldn’t have to purchase $150 AirPods to listen to audio on their new devices—the Lightning earphones that come with the iPhone 7 are perfectly adequate. 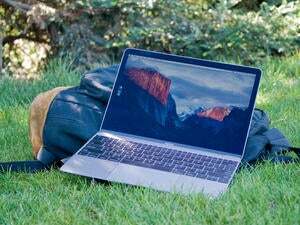 But then Apple showed off its new MacBook Pros, which have a headphone jack and USB-C ports. That’s a problem. 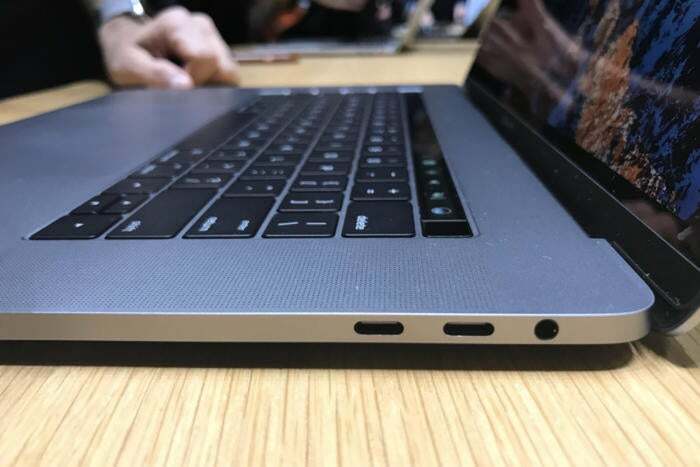 The new MacBook Pros have USB-C ports and a headphone jack. 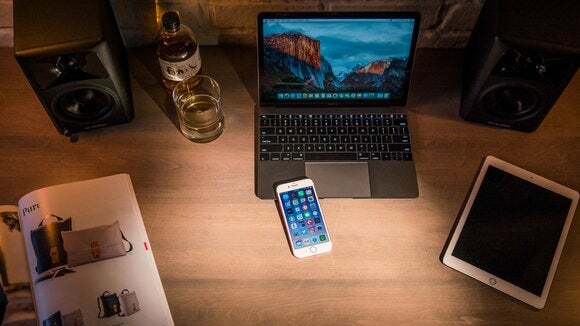 Apple prides itself on its ecosystem of devices and operating systems working seamlessly together, which is why Continuity was so major when it was announced. It feels like macOS and iOS pick up where the other leaves off. The same is true, though to a lesser extent, of watchOS. Apple might not care that its devices are incompatible with non-Apple products, which is why it sometimes uses proprietary standards like Lightning instead of open ones. 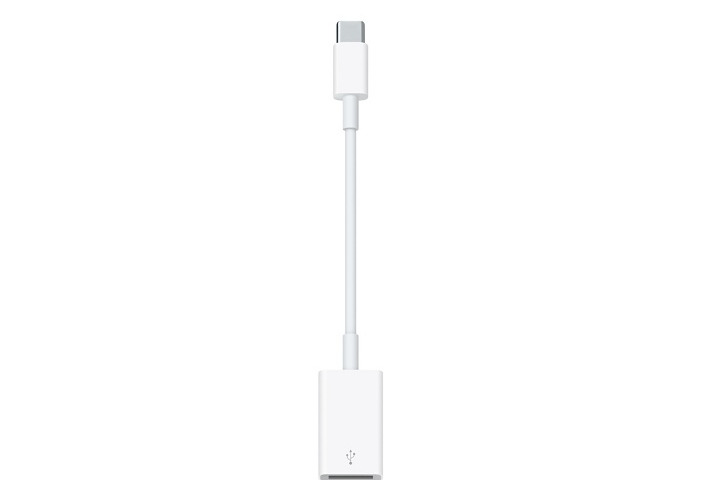 But with the Pros moving to join the 12-inch MacBook in USB-C land, now you need a dongle to connect your new flagship iPhone to your new flagship laptop. And those Lightning earphones? Can’t use those with the new Pros. That’s bananas. Why didn’t Apple sacrifice Lightning for a USB-C port on the new iPhones? Or make the Lightning charging cable USB-C instead of USB-A? Are the Lightning earphones just an interim measure for a port-free iPhone that charges wirelessly? So many questions. This lone Lightning port is becoming a problem. Not being able to connect your iPhone to your MacBook Pro may seem like a small thing—after all, with Wi-Fi you can still use iTunes to sync your phone with your computer, and with Bluetooth you can use AirDrop for image-sharing. And dongles, while annoying, aren’t that expensive. A Lightning-to–3.5mm audio jack dongle is included in the iPhone 7 box, so you can use that to listen to audio on your new MacBook Pro with your new Lighting earphones. Apple’s USB-C to USB adapter, which is what you can use to sync your iPhone 7 to your MacBook or new MacBook Pro, is $19. Check out this dongle! It's only $19. While we wait for Apple’s vision of a wireless future to arrive, the present is full of dongles. Dongles everywhere.